Today is an important day for BLACKCATHOLIC! It is the 1st year anniversary of the official launching of my apostolate! I It was April 1, Easter Day when I launched it all. God has been good and has blessed my mission with help from others along the way (especially from Ryan Scheel head of uCatholic)! Because of His grace my apostolate has gone from day 1 on Facebook and Twitter to a full website and a strong base of support from you guys! I am grateful for all your support and prayers because it is through them I receive the strength to do what I do for the Gospel and the One Church that preaches the fullness of that Gospel. Another big reason why this day is so special is that April 1 is the birthday of Servant of God Fr. 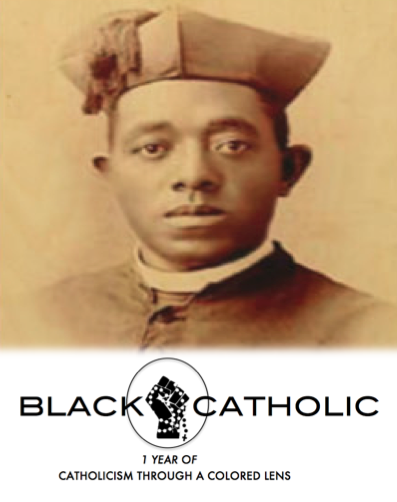 Augustus Tolton, the first recognized Black Catholic priest in American history and one of the Patrons of BLACKCATHOLIC. He was born on April 1, 1854 in Missouri. Today is the 165th anniversary of his birth. I do all I do in his good name! Here’s to another year! Please pray for me as I do for you! Jesus the Resurrected and the King of the Universe, have mercy on us! Fr. Tolton, pray for us!